[Blind Gossip] There is a lot going on behind the scenes at this network that they would rather you not know about! Let’s talk about one particular casting shuffle. 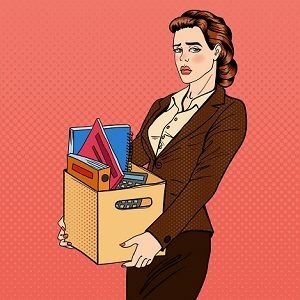 A woman is being moved outof her job and a man is taking her place. So her fellow female employees are upset about this, right? A lot of women at the network hate her. When all that #MeToo stuff happened, she pretended like she had no idea what was going on. Of course she knew! She slept with [X] in order to move up the ladder! So there is a bit of schadenfreude about her getting replaced by [a man]. By the way, he could have co-hosted with her, but he didn’t want to. None of the women here are going to jump in to defend her or say that it was unfair that she was pushed out and replaced by a man. Why should we support her when she hung her sisters out to dry? [Optional] Why do you think her replacement didn’t want to cohost with her? Your friends at Blind Gossip told you a month ago that this personnel change was coming down the pike. Well, it was just confirmed that Natalie Morales has been FIRED from Access Hollywood! She is being replaced by Mario Lopez. About a month after longtime executive producer Rob Silverstein was let go at Access and Access Live, anchor Natalie Morales is following him out the door. Morales is out at Access, The Hollywood Reporter has confirmed, but is staying with NBC News as Today West Coast anchor and Dateline correspondent. Co-anchor Kit Hoover is staying with Access and will anchor the show solo for the time being. Scott Evans will also remain as co-host of Access Live. Morales joined the twin syndicated shows in 2016. Mario Lopez could have come on board and co-anchored with Natalie, but he wanted to be the star of the show, so no co-anchors for him! And I do mean family! I have had a wonderful 3 years here with you and will treasure the memories and good times! Thank you for welcoming me with open arms and for always bringing your A-game. I have so much to be grateful for and can’t name all of you… but I do have to especially thank Kit, Scott, Sibley and Liliana for making it always a fun day “at work.” And thanks to our incredible producers, crew, assistants, wardrobe, hair and makeup teams.. I mean truly, I have a long list and hope to thank you each personally. Keep being the little engine that could! As an “Air Force” brat who has had to say goodbye one too many times in my life.. I prefer to say see you all later … and by later I mean on the next red carpet or on the lot! I’m just a few studio gates away after all. Please stay in touch! Blah, blah, blah. She was fired. Notice how the announcement is coming the Friday before a holiday weekend? That is how you minimize fallout. There’s a little bit of schadenfreude in this story, as Natalie Morales kept quiet during the entire Matt Lauer/MeToo controversy. In fact, when the whole MeToo brouhaha started, NBC quickly shuffled Natalie Morales off the couch next to Matt Lauer and sent her packing to the West Coast. Of course, Matt Lauer and Natalie Morales deny that they ever had an affair. Not that Morales’ replacement on Access Hollywood, Mario Lopez, is a paragon of virtue. But he does have dimples! By the way, NBC was also considering replacing Natalie with Billy Bush, who was sidelined because of his own misogynistic behavior. Perhaps NBC chose the lesser of three evils? Congratulations to Beachchick218 for being first with the correct response! Didn’t want to cohost: Because she had an affair with Matt Lauer while enabling his sexual harassment of others. Natalie Morales being replaced by Mario Lopez. Natalie has already proven she will do whatever to get ahead – I wouldn’t want to work around her either. Natalie Morales being let go from Access Hollywood to make room for Mario Lopez. She allegedly had an affair with Matt Lauer that got her moved up the ranks on Today. She is being put back on the morning Today Show as their L.A. correspondent. Natalie Morales and Mario Lopez? I haven’t got a clue why he’d not want to share the spotlight with her as I’ve never watched this program. She totally had an ongoing affair w Matt lauer and Mario Lopez can’t keep his hands to himself and he doesn’t want to end up like lauer. Don’t know who’d replace her! Heard she is terrible to work with! Woman: Natalie Morales. She apparently had an affair with Matt Lauer, and then acted like she had no idea that he was accused of inappropriate behavior with other women. [Optional] Why do you think her replacement didn’t want to cohost with her? Probably because Lopez has been known to be unfaithful to his wives and girlfriend and doesn’t want to become the next Matt Lauer.